Archbold Police Department, 405 E. Lutz Road; Delta Memorial Hall, 401 Main St.; Fayette Police Department, 102 W. Main St.; Fulton County Sheriff’s Office, 129 Courthouse Plaza, Wauseon; Swanton Municipal Office – Village Council room entrance, 219 Chestnut St.; Rite Aid Pharmacy, 1496 N. Shoop Ave., Wauseon; Walmart, 485 E. Airport Hwy., Wauseon; Wauseon Police Department, 230 Clinton St. The sites will accept tablets, capsules, and all solid dosage forms of unneeded or expired medication. The Swanton location will accept solid medications, intravenous solutions, injectibles, and syringes. The Drug Take Back is a joint operation of Healthy Choices Caring Communities, the Swanton Area Community Coalition, the local police departments, and the sheriff’s office, in cooperation with area pharmacies. 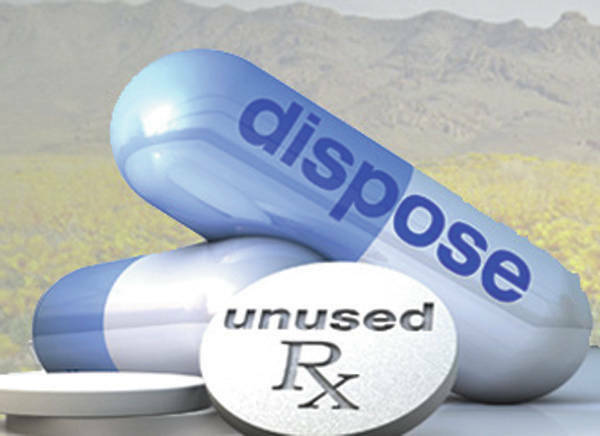 It is an opportunity to dispose of unused or expired prescription medications. Medicines that languish in home cabinets are highly susceptible to diversion, misuse, and abuse, according to the Drug Enforcement Administration. “It is important for the safety of our community to get these unused or expired prescriptions out of family medicine cabinets. This will help us keep these prescription drugs off our streets and prevent them from being misused or abused,” Wauseon Police Chief Keith Torbet said. The abuse of prescription drugs is the second leading cause of accidental death and has other unintended consequences, such as increased prevalence of prescription medication abused and diversion throughout the United States. Fulton County has five drop-off locations available throughout the year. Find them at www.hc3partnership.org .